“Chef Betty” has cooked for some of the finest restaurants in America but left fine dining to give back to kids through cooking. “This is actually going to be a new food for the kids,” Betty Brain said as she prepared a healthy meal for the kids. She now works at Blazer’s Boys and Girls Club on NE MLK Jr. Boulevard. “I love the way my kids act in here,” Brain said. The Boys and Girls Club is a place where children can get a healthy meal. 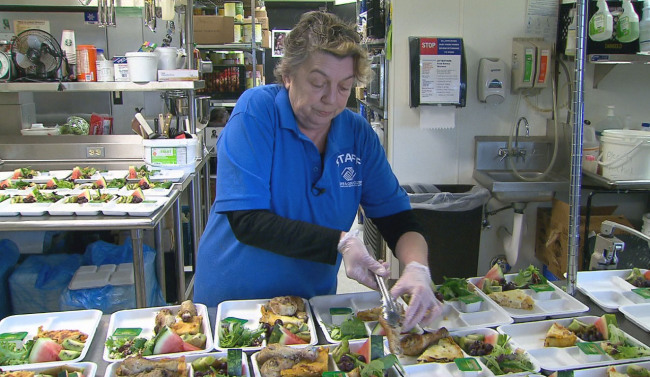 She did stay and now cooks for up to 200 kids a day using ingredients from the Food Bank. “They needed not only my food, but the fact that I’m old-fashioned,” Brain said. When the kids come to the Boys and Girls club, Brain insists they sit down for the meal as a family would. “It forces them to have that camaraderie,” Brain said. Thousands of kids in the U.S. take advantage of the after-school programs and meals provided at the Boys and Girls Club.